↑ The Idea of Justice (2009). ↑ Deneulin, S., (2009). 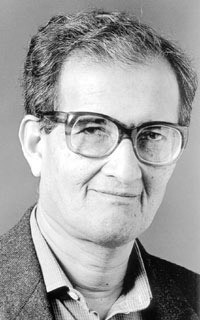 "Intellectual roots of Amartya Sen: Aristotle, Adam Smith and Karl Marx – Book Review". Journal of Human Development and Capabilities, 10 (2), pp. 305–306. ↑ "2011 US National Humanities Medals". National Endowment for the Humanities. Retrieved 11 February 2012. ↑ "ट्रिनिटि विश्वविद्यालय केम्ब्रिड्ज् - The Fellowship". Retrieved 17 मार्च 2014. ↑ ""Amartya Sen – Autobiography"". Retrieved 17 मार्च 2014. ↑ "The Real Causes of Famine". Retrieved 17 मार्च 2014. ↑ Steele, Jonathan. "The Guardian Profile: Amartya Sen". London: The Guardian. http://www.theguardian.com/books/2001/mar/31/society.politics.